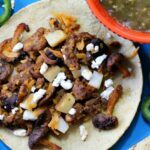 Chorizo Potato Shiitake Mushroom Tacos, an earthy combination of flavors bringing the taste of Mexico to your table. 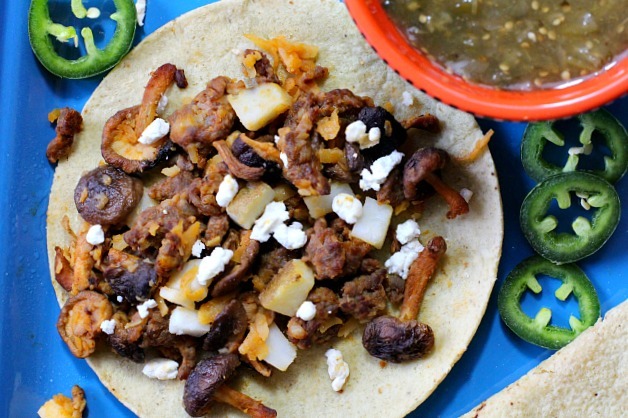 A delicious mushroom taco recipe and especially with healthy shiitake. If you think of tacos as an easy weeknight meal, using hard shells out of a box, with a packet of taco seasoning, ground beef, and iceberg lettuce, I beg you to think outside that box. There are so many other ways to enjoy tacos filled with amazing ingredients and flavor combinations that will wow your palate. And guess what, they’re still easy weeknight meals. I was reading an article about 2018 food trends and tacos were on the list. Specialty tacos to be exact. Breakfast tacos, dessert tacos, vegetarian tacos. I guess this might be year of the taco, that is if cooks can tear themselves away from their Instant Pots. Speaking of IP’s – yes, I got one for Christmas. I’ve used it several times and I can completely see the IP’s value. More on that in my first Instant Pot recipe post…coming soon. Like bacon in the United States, Chorizo is the go-to breakfast meat in Mexico. Chorizo and eggs, chorizo and beans, chorizo and potatoes. It’s a spicy pork sausage, but spicy in just the right way. It can be used in small amounts to add big flavor to any dish. It’s raw, so you must cook it. And it comes in bulk form and tube form. I always always always purchase Chorizo in bulk form. In packages that look like ground meat or Italian Sausage and are packaged in that manor. In a flat container covered with plastic wrap. Generally you can find Chorizo packages sold in a plastic tube shape, where the meat is bright orange and there’s a ton of fat involved. That style of Chorizo is cheaper and more readily available. When it cooks down, there’s not much meat left and the texture is very soft and somewhat mushy. But the flavor is good and you’ll find that Chorizo in many breakfast tacos and burritos. There Are Mushrooms in Those Tacos! Look at this fun assortment I picked up at Whole Foods. Beautiful! The shiitake are at the top. 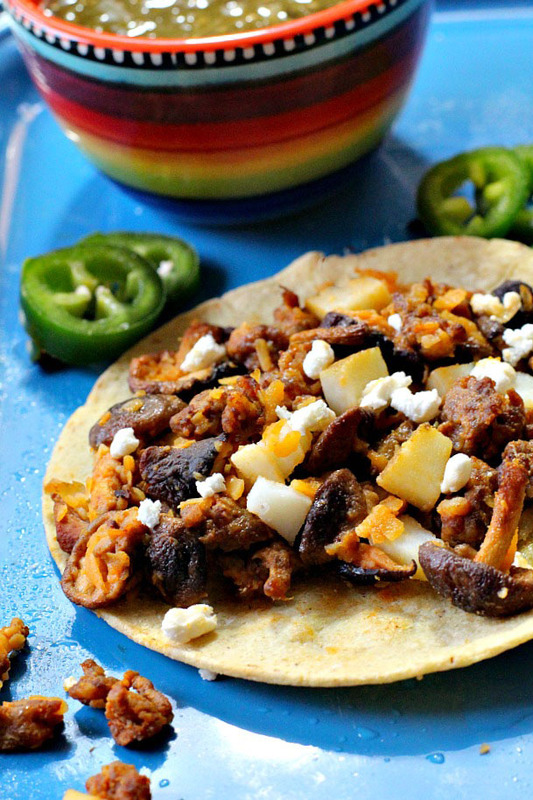 You bet there are mushrooms in those tacos, and they’re a delightful addition. 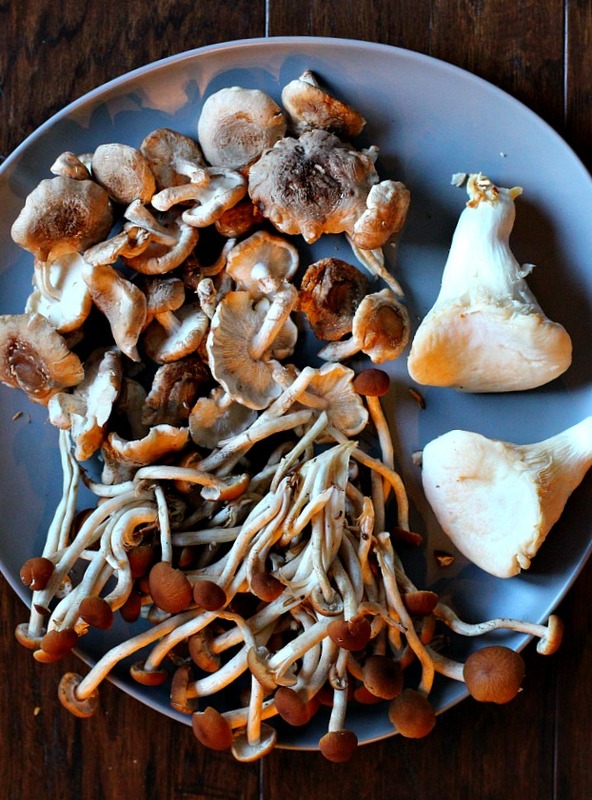 You can use any type of mushrooms for this recipe. I like shiitake because they’re the one wild mushroom I can easily find. The texture is just right to blend with the sausage, and the flavor is delightful. And of course we’ve heard over and over about their health benefits. Chorizo and mushrooms make a sensible duo since mushrooms are abundant in certain areas of Mexico. I used a leftover baked potato to make these tacos even easier than easy. I just cut the potato in cubes and added them to the cooking process at the end…gently stirring, just long enough to heat them through and blend. You can use fresh potatoes, I’d cube and fry them separately and still add them at the end. Or you could even use cubed frozen hash brown potatoes. Again, cook those separately before adding to sausage, mushroom mixture. Unless pre-cooked, the potatoes will take much longer to cook than the sausage and mushrooms. Garnish these beauties with a cheese of your choice. A Mexican crumbling cheese is excellent here. Queso Fresco is good. Soft, somewhat spongy, a cheese used for sprinkling over beans or tacos. Cotija is another good crumbling cheese. Reminiscent of parmesan, Cotija cheese takes its name from the town of Cotija in Mexico. It is a strong smelling, a salty aged cheese. It’s easily shredded or crumbled. You can use shredded Monterey Jack, or even Goat Cheese. Serve with Roasted Hatch Green Chili Sauce, or Homemade Roasted Tomatillo Salsa. 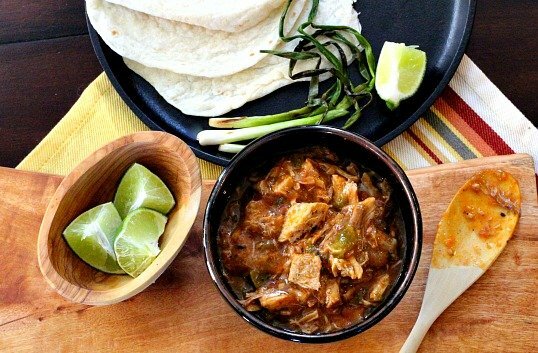 Or if you insist on a jarred Tomatillo Salsa, we like Jardine’s Brand. I’ve included an affiliate link for your shopping convenience. With a microwave oven: Drizzle about three tablespoons of water over a clean kitchen towel. Wrap your corn tortillas in the towel. Slide the package into a gallon sized plastic bag. Don’t seal the bag. Microwave the tortillas at 50% power for four minutes. This creates a steamy packet. Let sit 2 -3 minutes inside package before using. Great for breakfast or dinner, let’s make these quick, savory chorizo potato tacos. Heat a large skillet over medium heat. Add the oil and the chorizo. Tear the chorizo into chunks before adding. Cook until half cooked, about 4 minutes. 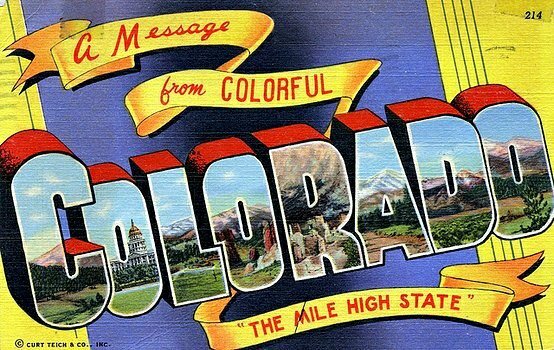 If using cubed frozen hash browns, or fresh cubed potatoes. Cook those separately until cooked through. If using a left over baked potato, cut into cubes and set aside. Increase the heat to medium high. Add onions and mushrooms, stirring until they are softened. About another 3 - 4 minutes. Sprinkle in the potatoes and cook until blended and hot. Season with salt if needed. Chorizo can be salty enough. Pour mixture into a bowl and serve with warm tortillas. Serve salsa, guacamole, sour cream or hot sauce for garnish. Looking for more unique easy taco recipe ideas? That is one awesome looking taco and I can just imagine how tasty it is. Thanks for the chorizo info and next time I want some, I’ll go to one of the little Mexican markets who I believe have it in bulk. Chorizo is my all time favorite sausage, that’s probably why I started making my own. There’s always some in the freezer. Shiitake with spicy food is delicious so I can’t wait to make these tacos. Love your method for softening up tortillas. I’m going to have to try that because my method is hit and miss depending on the brand of tortilla. Hope you’re having a fabulous beginning to 2018! Those corn tortillas can be ornery. This is a Rick Bayless method and seems to work the best. I’m going to head over to your blog and find that chorizo recipe – I must learn to make my own.